Spotted by Locals co-founder Bart van Poll, who appears on Fathom's list of 24 Best Travel Blogs and Websites, spends half the year on the road and the other half making up for lost time in the Netherlands. Absence makes the heart grow fonder. AMSTERDAM – My wife (and co-founder of Spotted by Locals) Sanne and I are abroad for about six months of the year, mostly to meet our local writers in cities around Europe. The more we travel, the more we love the city we've both been living in since the '90s: Amsterdam! Sanne & Bart. Photo courtesy of Spotted by Locals. Amsterdam is small, with about one million inhabitants, but it's very active. We really struggle to keep up with all the things happening around here. 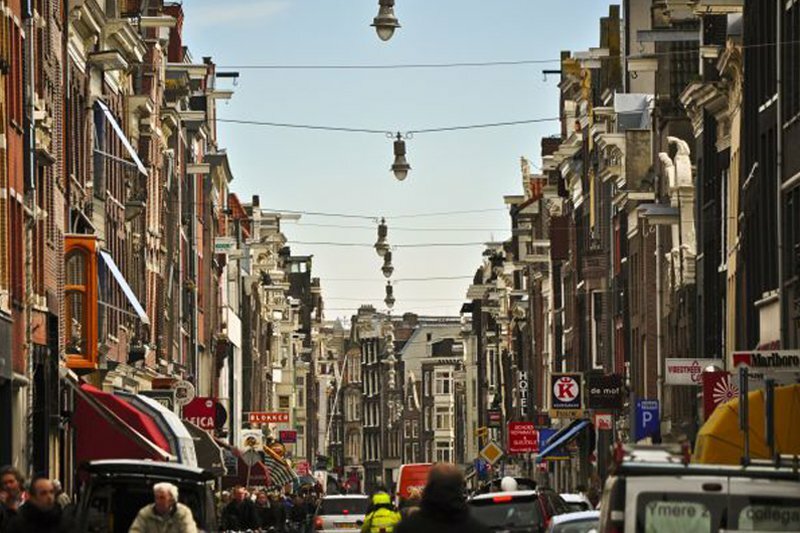 Sundays are almost always a day off for us, and we dedicate it to seeing as much of Amsterdam as possible. The Dutch are notoriously economical (make that cheap), so we don't usually eat breakfast out. When we feel like celebrating we'll go to Casa e Luce, 50 meters from our house. They have the best sandwiches and smoothies. Sanne and I live in the Old South neighborhood very near to one of the entrances of THE green lung of Amsterdam: Vondelpark. This is where we start most of our Sundays, with a walk through the park to the center of the city. Het Blauwe Theehuis doesn't have an address and is obscured by trees — which makes it quite difficult to find. But it's here that we order our morning cappuccino (for me) and latte (for Sanne). It's a great spot from which to see Amsterdam wake up, and to watch happy or unhappy families playing with their kids. Ten minutes walk from the cafe is the Leidseplein. It's a horrible, neon-lit square in Amsterdam (but Rembrandtplein is surely worse), but somehow almost all tourists end up booking a hotel in the neighborhood. Luckily, the Leidseplein has a few hidden jewels. Melkweg (Milky Way) is a famous club and art center focused on alternative art. Commercially it's not doing very well, having been bailed out a couple of times by the local authorities. It's great use of my tax money though, as we visit their (free!) photography gallery every time there is a new exhibition. Sanne is the Foursquare mayor. If we feel like taking in more culture, and we often do, we head to galleries dedicated to photography (our favorite). Besides the earlier mentioned Melkweg gallery, there's FOAM and Huis Marseille. We avoid the famous Van Gogh museum and Rijksmuseum, which are too crowded for viewing art peacefully. Gartine. Photo by Lauren Murphy. Pied a Terre. Photo by Lauren Murphy. After culture, it's time for lunch at Gartine, a fantastic spot with 100 percent organic food from farms just outside Amsterdam. It is a wonderfully authentic Dutch experience with old silverware and Delft Blue dishes. 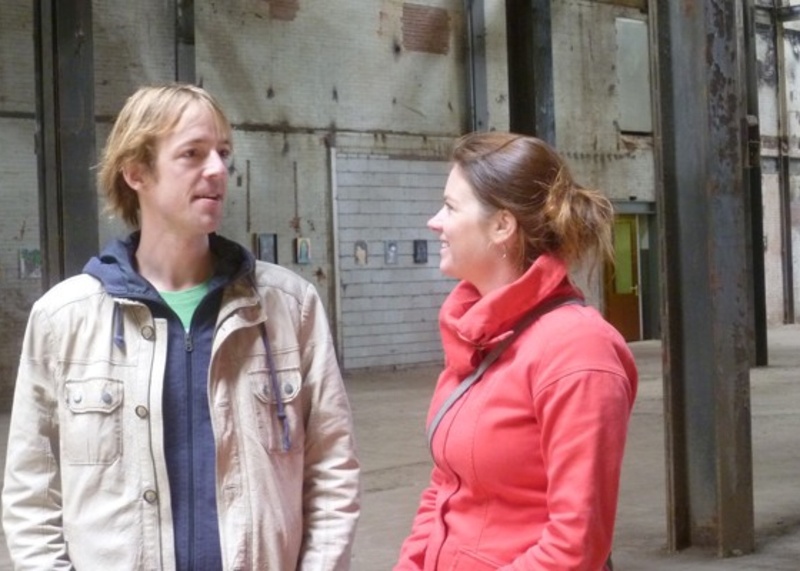 Every first Sunday of the month there's the Sunday Market at Westergasfabriek. It's a great place to buy unique art or organic food. It's where I get my Spanish and French sausages. BoCinq. Photo by Martin Sollmann. Spaghetteria. Photo by Lauren Murphy. Is it 16:00 already? Time for the first beer! We like Ruk & Pluk, a real neighborhood bar that feels like typical Amsterdam. We balance out drinking with old-schoolers by watching (sometimes snobby) Amsterdam locals at the beautiful and surprisingly gigantic canal house-turned-bar-and-restaurant BoCinq. We always run into soap "stars" or famous soccer players there. Good Italian used to be hard to come by, but the culinary landscape is changing with restaurants like Spaghetteria. Eating there feels a bit like being in Italy. Authentic fare for a good price. We usually keep it mellow on Sunday evenings, but if we pass OT301 on our way home and there's good live music, it's difficult to resist! Sometimes we catch a movie at the very impressive Eye Film Institute. The futuristic building next to the water is one of the city's most prestigious new accomplishments. Check out more tips and recommendations on Amsterdam. Bart is a fortunate person: Since 2008 his work has consisted of traveling to the greatest places in the world with his wife and meeting people as co-founder of Spotted by Locals. He travels to spy on locals around the world.